Multilingua Language School is a member of ANDRAS – Association of Estonian Adult Educators. The mission of ANDRAS is to provide the prerequisites for lifelong learning in Estonia, to include the decision makers and all other stakeholders in designing the educational environment, and to motivate learners in the learning process. Multilingua Language School is a member of The Estonian Chamber of Commerce and Industry (ECCI) – the most influential network of entrepreneurs. 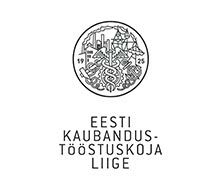 The ECCI is the oldest and largest Estonian representative organisation of entrepreneurs. The mission of the ECCI is to develop entrepreneurship in Estonia through business services and playing an active role in designing economic policy. The ECCI promotes strong and friendly business environment in Estonia. They provide practical services for the Estonian companies and they help foreign companies to find their members who are the powerhouses, elite and engines for turnover and export in Estonia. Multilingua is a member of the European Association of Distance Learning (EADL) – it promotes learning, wherever and however it occurs. The mission of EADL is to represent all privately-owned and non-governmental European organisations offering high quality and educationally sound distance learning. EADL aims to improve the quality and acceptance of distance learning to ensure the maximum benefit for students.